When the mercury drops and the snow starts to fall there are two choices - hibernate, or get out there and enjoy winter! Our members love winter and can't wait to get back out on the slopes and trails. For almost 70 years, the High Park Ski Club has been getting members out onto the local slopes and trails or to far flung snowy locations. Over the years, the sports have evolved with new technology, techniques, and disciplines (e.g., snowboarding and skate skiing), but what hasn't changed is our members' commitment to making the best of winter! 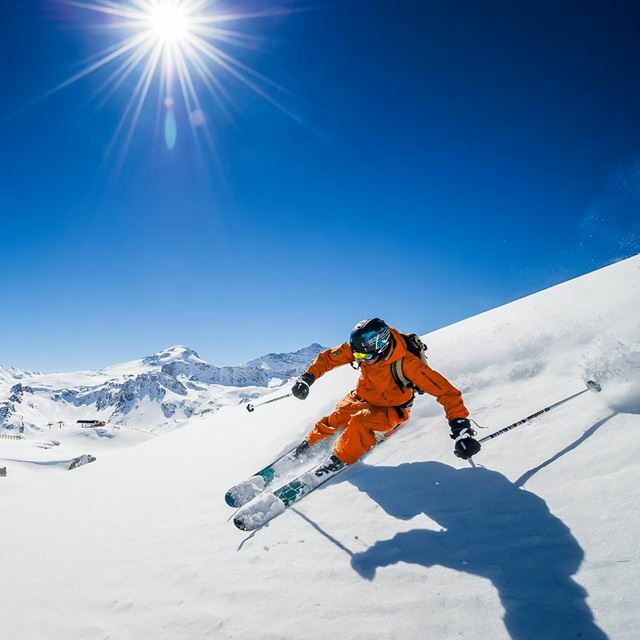 Downhill skiing includes several different disciplines, such as freestyle skiing or backcountry skiing. At High Park Ski Club, we focus on recreational skiing on groomed downhill runs. If you have never skied before, joining the club is a great way to get out and progress on the snow quickly - you'll be whizzing down the green hills after only a few lessons. 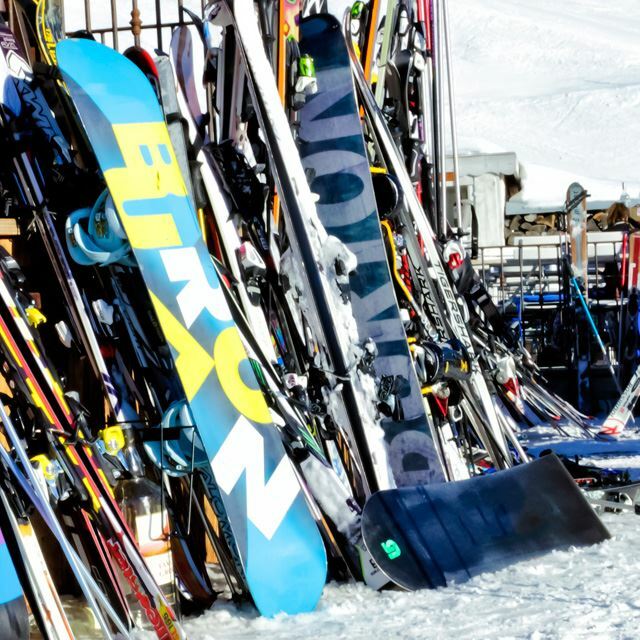 If you haven't skied in years, it will surprise you how much the ski, boot and binding technology has advanced, allowing for more control and technique. We are here to help and members are always a fountain of knowledge when it comes to equipment. Recreational skiing is mostly carried out on groomed runs, but that doesn’t mean you can’t push yourself and learn to ski bumps, trees, and even powder, if the resort offers this. High Park Ski Club offers specific specialized classes to advance your technique. With great local resort infrastructure within reach of Toronto, we offer luxury coach access to the local hills 4 days a week with lessons. There are also race days for those with a competitive streak! Snowboarding traces its origins to the 1960's to a homemade child's toy that spawned the Snurfing craze. Developed through the 1970's and 1980's by pioneers like Jake Burton Carpenter and Tom Sims, snowboarding has gone through multiple forms in terms of boards, bindings, techniques and disciplines. Through the 1980's, it grew in popularity, attracting more and more devotees, resulting in the creation of professional associations and international competitions. In 1998, it was finally made an Olympic sport, with Canadian Ross Rebagliati winning the first ever Olympic gold medal for Giant Slalom. Now a mainstay of downhill snow sports, snowboarding offers a variety of styles from freestyle and freeride to boardercross, half pipe, and big air. Join High Park Ski Club to discover the exciting world of snowboarding! Cross-country skiing has its roots as a mode of winter transport in Scandinavia, but has since developed into a wonderful recreational and competitive winter sport enjoyed by over a million Canadians each year. Cross-country skiers use 'skinny' skis and their own energy to propel themselves around groomed trails through snow covered forests. This makes cross-country skiing one of the best workouts that exist, and an ideal cross-training activity for runners and cyclists. There are two techniques in cross-country skiing, both requiring different sets of equipment. Classic skiers travel along tracks set in the snow using diagonal glide, while skate skiers travel outside the tracks using a skating motion. We offer lessons in both techniques on every day trip; if you learn both, you can choose the best technique according to the conditions on the day! We offer a fun bus ride to the resort, group discounts on trail passes, and free lessons with every trip. Join us and discover the beauty of Ontario's forests in winter! Snowshoeing has a long history in Canada as a form of winter transportation for Indigenous populations and early European settlers. There were even snowshoe clubs and competitions! Snowshoes were historically wooden frames with webbing that allowed walking on snow. Snowshoe technology has since advanced, and snowshoeing has become one of the most accessible outdoor winter activities. If a walk through the woods is more your speed than skiing, try out snowshoeing on one of our cross-country ski/snowshoe day trips. 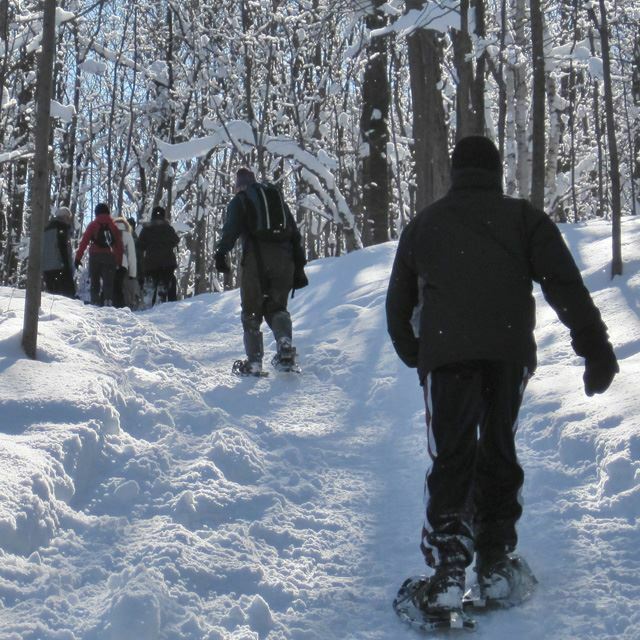 Ontario is a particularly lovely destination for snowshoeing. Trails range from easier beginner trails to tougher, hillier trails for those who want a real workout. Places such as Georgian Nordic and Arrowhead Provincial Park will see you snowshoeing on the Canadian Shield, to waterfalls and past frozen lakes. We offer a fun bus ride to the resort, group discounts on trail passes, and often guided snowshoeing. Join us to discover the beauty of Ontario's forests in winter!